This is such a great thing to make in the holidays. I love having something in the fridge that can stack up as an appetiser, lunch dinner or a snack. This time of the year is so lovely to be just getting something out of the fridge and not have to think about it too much. If you are somewhere cold it can be heated gently after slicing, in a microwave or wrapped in foil in the oven for 20 minutes. 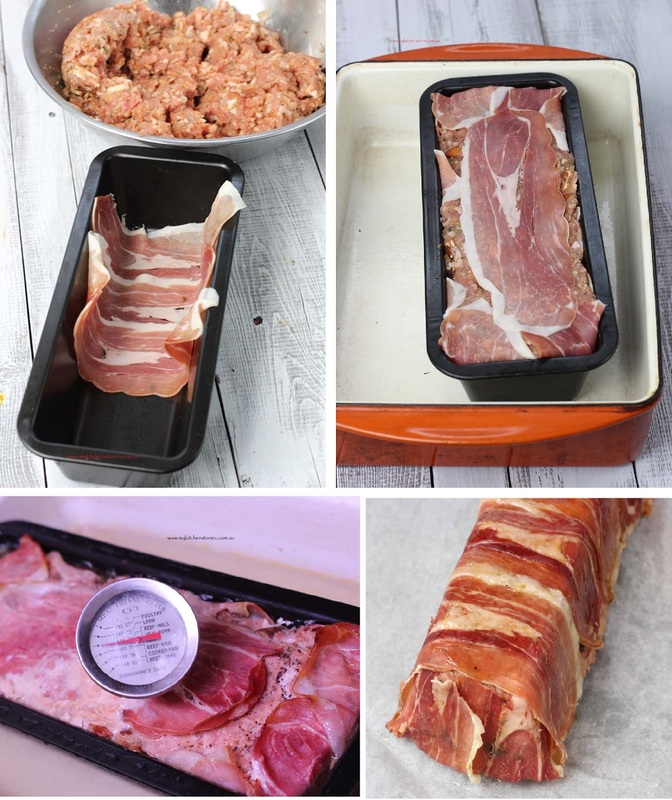 Even a sandwich press would be great to re-heat slices of terrine. 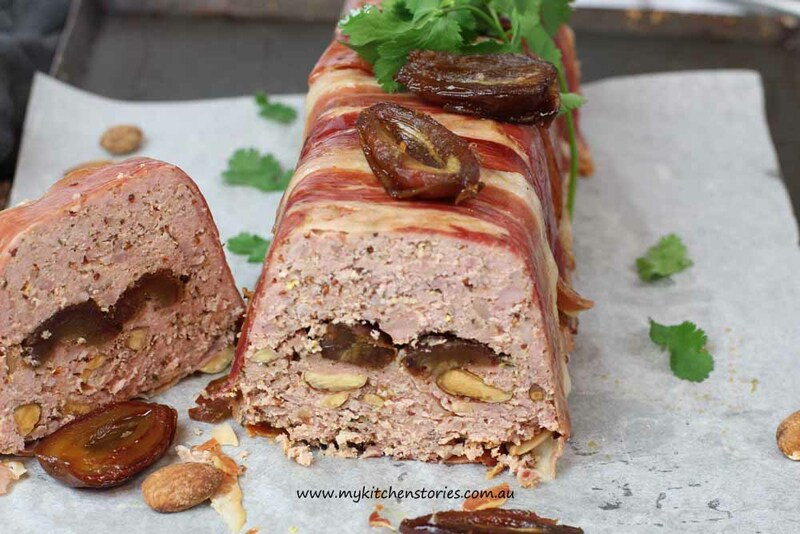 I have really hit the wall and this Easy Pork Terrine just seems to fit the bill on the laziest ( most delicious) meal I can muster. 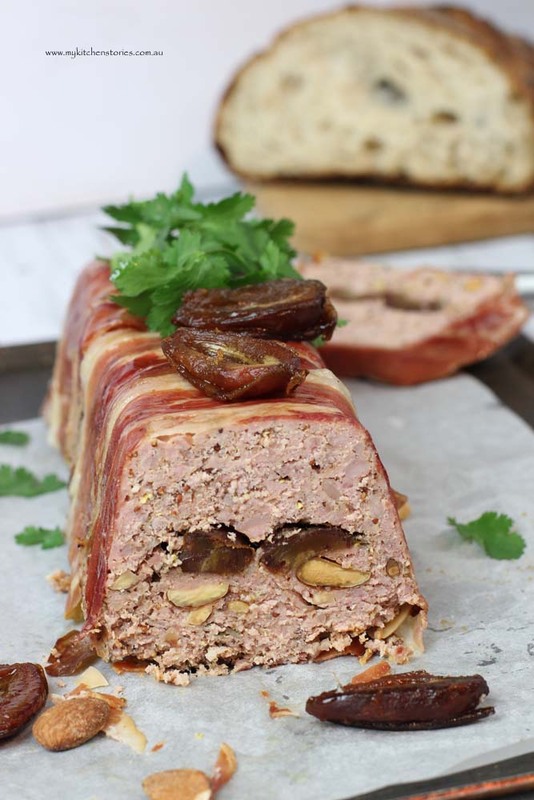 An Easy Pork Terrine has that kind of name for a reason – it doesn’t take too long to whip up. It could be part of the celebrations if you are off somewhere to have a picnic for New Years Eve. The lovely sweet date centre will go well with any pickles or mustard. Just add bread and cheese. It has Prosciutto, a terrine must. Lovely sweet port soaked dates that will pair with cheese, crunchy smoked almonds and you can slice it off in chunks to add to your bread and butter. Add herbs and spices that you have to hand when you make yours. Allspice , Rosemary, Cumin or even Cinnamon or Curry flavours would still be perfect. 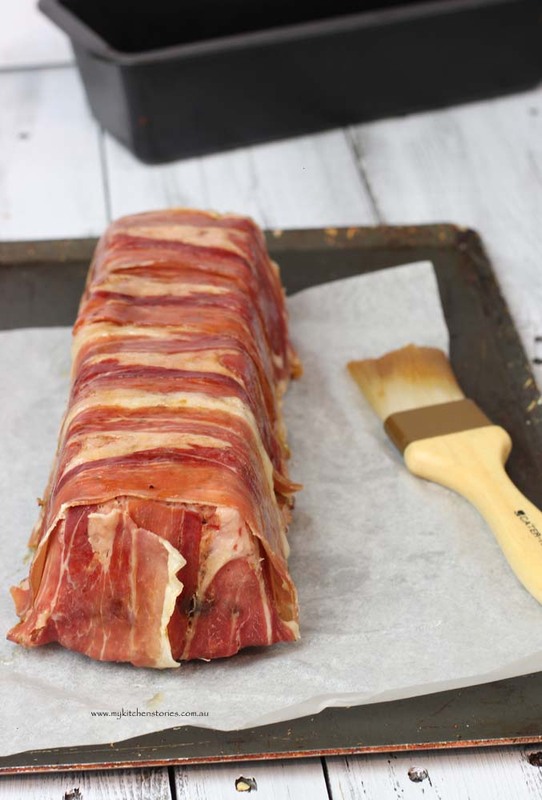 Grease a loaf tin and line with prosciutto overlapping so that the prosciutto lines the whole tin. Put the finished terrine into a baking dish half full of tepid water. 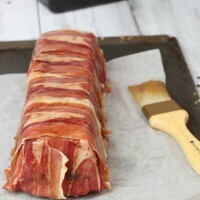 Liquid will start to escape from the terrine when it is nearly cooked. Serve with salad and pickles as an entrée or in sandwiches. It makes a great accompaniment to cheese or as part of an antipasti plate. It's also the perfect picnic food. I wish I had this in my fridge instead of the ham we are slowly getting through. I like the sound of the port soaked dates and all the spices – and it looks uncomplicated to make too. The photos are quite lovely! It looks like something I can make for my husband too. It looks really tempting and delicious, esp. for those meat lovers. Wow, this must be a show stopper. Gorgeous! This will be perfect for parties around holidays. Thanks for a great idea! It looks absolutely delicious… and pretty too! Wishing you a very Happy Newy Year! You could snack on anything from your vantage point at the moment Julie, have a great New Year! 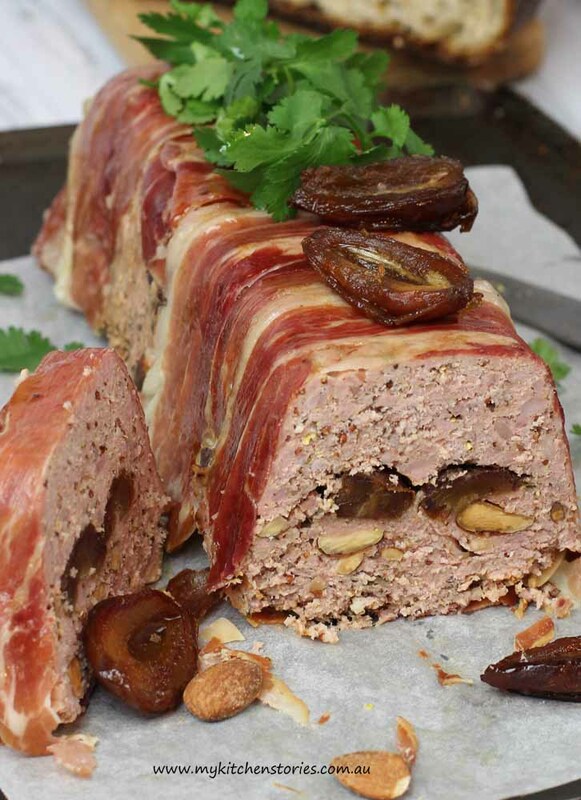 I never really think to make a terrine, but there is nothing finer!